NEW BRITAIN - The CIAC announced its classes for the upcoming football season and there are going to be some changes. Tournament success is going to be playing a role in high school football this upcoming season, along with enrollment. In an attempt to balance out the private/choice vs. public school debate in the state tournaments, the CIAC will apply the success modifier to the 2018 football playoff division. Schools defined as those of ‘choice’ by the CIAC will now be bumped up to one higher class if they’ve reached at least the state semifinals two years in a row. Teams will not be bumped up more than one class higher than their school’s official boys enrollment. But none of that affected any of the area teams significantly with only St. Joseph and Killingly being elevated in class. 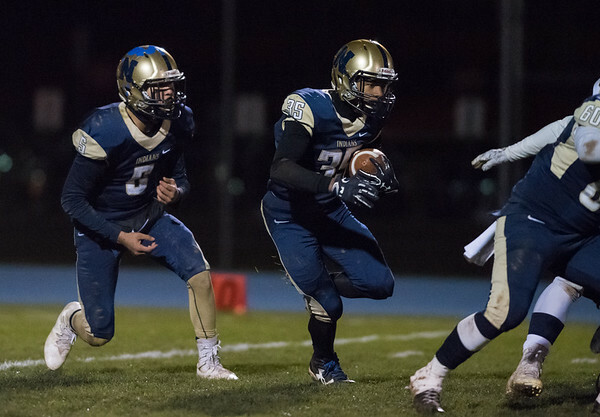 Newington will be the only area team that moves a class, either up or down. The Indians will move up to Class LL this season with an official enrollment of 690, 11 more than the minimum of 679 required. In Class L last year, Newington finished its 2017 season 3-7 and hasn’t had a winning season since 2012 (6-5). Overall, Class LL remained at 35 teams. The division lost two but gained two to make up for the loss. Both Class L and Class M each especially gained one by adding six and losing five. Class S is losing the most. Four teams are moving up with one team dropping down. Posted in New Britain Herald, Newington on Monday, 25 June 2018 21:12. Updated: Monday, 25 June 2018 21:15.